Back in the days when mobile phones looked like the one pictured below, the Swiss voted on whether to join the EEA (European Economic Area), the first step towards EU membership. On 6 December 1992, 78.9% of Swiss voters turned out to vote, the highest turnout seen in Switzerland over the last 45 years. The traditional voting divide between French and German speakers, known as the rösti graben, was pronounced. The French-speaking cantons were heavily in favour of joining. Voters in French-speaking, or majority francophone cantons, including: Vaud (78.3%), Geneva (78.1%), Neuchatel (80.0%), Jura (77.1%), Valais (55.8%) and Fribourg (64.9%), were all in favour of joining. Voters in nearly all other cantons were against the idea. The only other cantons with favourable majorities were the German-speaking cantons of Basel City (55.4%) and Basel Landschaft (53.2%). The remaining 18 of Switzerland’s 26 cantons were all against the idea. Overall Switzerland rejected EEA membership by a narrow 50.3%. 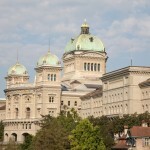 At the time of the 1992 vote, Switzerland’s federal council, or cabinet, was firmly in favour of joining, releasing a statement saying they were “convinced that the EEA is of vital importance to Switzerland. Joining the EEA will prevent the isolation of our country in Europe, allow businesses to access new markets, ensure prosperity, and open new possibilities for future generations.” Despite joining neither the EEA nor the EU, Switzerland has an EU trade agreement, allows free movement of people, and is part of the Schengen zone. Ahead of the 1992 vote the Swiss government filed an application to join the EU block. This application has sat somewhere in EU storage ever since. This Wednesday, a motion put forward by Swiss People’s Party MP, Lukas Reimann, to formally withdraw the application received overwhelming support from Switzerland’s politicians. According to the Neue Zürcher Zeitung, a total of 27 out of 42 members of the States Council, voted to withdraw the application, backing up an earlier decision by the National Council, where 126 voted in favour, 46 against, and 18 abstained. 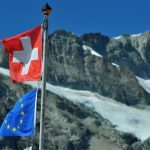 After 24 years, Switzerland will now give formal notice to Brussels to have the application withdrawn. Switzerland’s long-standing application has had little impact on Swiss politics over the last 20-plus years, since the failed referendum in 1992. Following the 1992 vote, Swiss voters rejected two similar proposals to become part of the EU. In 1997 a vote entitled “Negotiations to join the EU: let the people decide” failed with 74.1% of voters rejecting it – all cantons registered a majority against this initiative. Then in 2001, a vote entitled “Yes to Europe!“, was rejected by 76.8% of voters – again all cantons registered a majority against the proposal.